Leaving school unqualified but persistent, Wilfred Emmanuel-Jones talked his way into a successful career in television. A BBC producer/director for 15 years, he travelled the world making films about food and drink and gave the likes of Gordon Ramsay and Antony Worrall Thompson their first break in TV. He left TV to launch his own London-based marketing agency specializing in food brands which included Loyd Grossman, Kettle Chips, Plymouth Gin and Cobra Beer. This gave him the capital to buy West Kitcham Farm, in Devon. He became known to the locals as ‘The Black Farmer’, which inspired him to set up the brand of the same name, whose products include award-winning sausages, bacon and chicken that are stocked by all the major supermarkets. 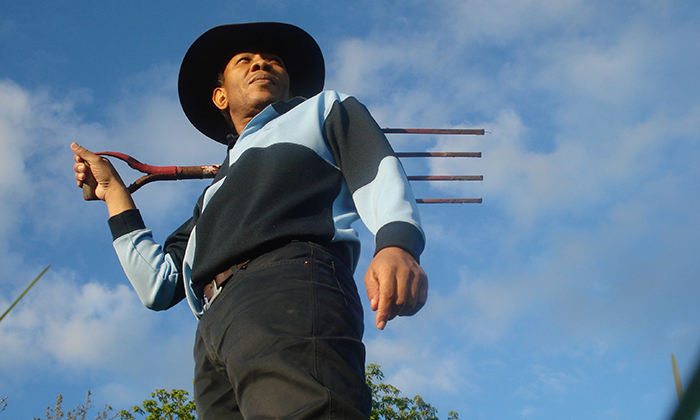 He set up The Black Farmer Rural Scholarship scheme which aims to help and encourage young people from the inner cities to work in the rural community and which led to the successful Channel 4 TV series ‘Young Black Farmers’. He always knew that if he launched his own brand, he’d do what was right for it, and he’s now relishing the freedom to be as daring as he likes with The Black Farmer. He will be telling us about the challenges of launching and building a brand in such a difficult industry, how he makes his brand values and positioning recession-proof and the next steps into global expansion.